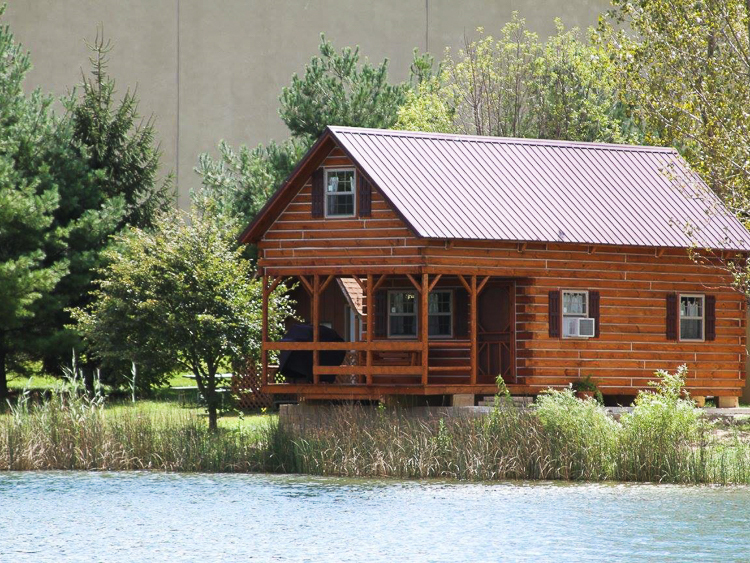 Caboose Lake now has three Deluxe Cabins! 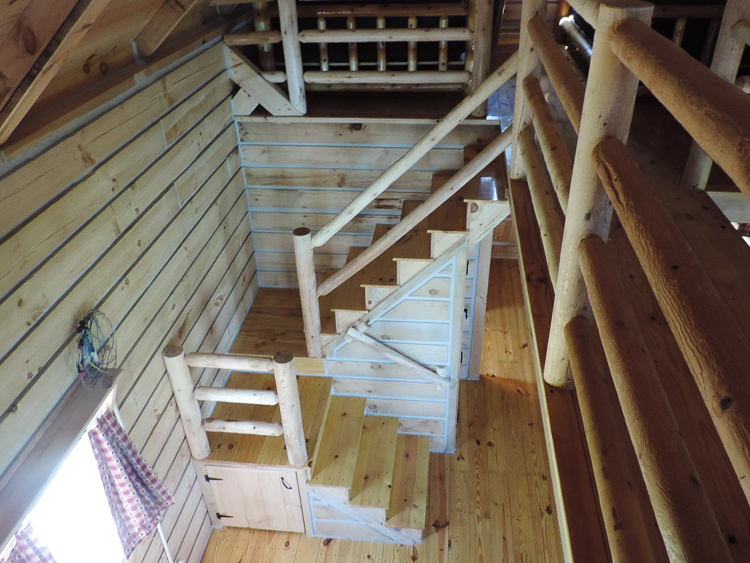 These waterfront cabins are two story, two bedroom with a kitchen, bathroom, eating and living area. 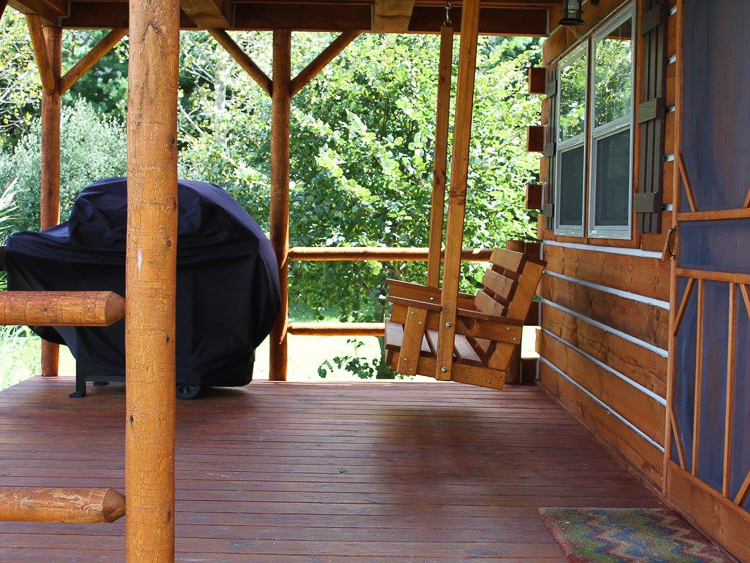 Situated right on the lake front with a 10 x 14 front porch overlooking the lake. Sit in the porch swing and relax...listen to the frogs. 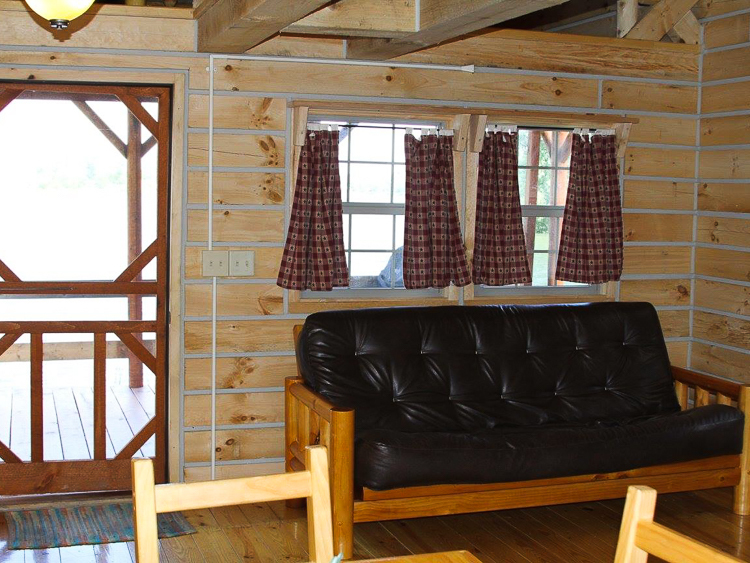 Stay a weekend or rent one for a week! 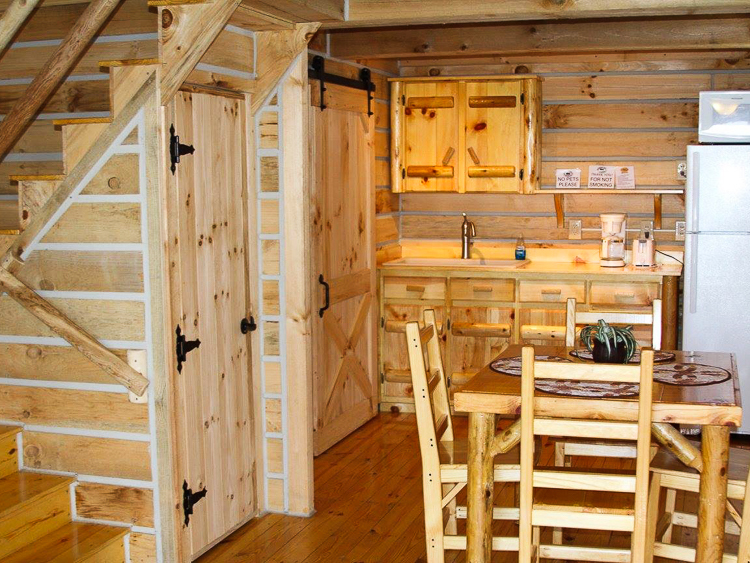 Experience our brand new Amish built log style cabins. You will love it! WEEKDAY "SPECIAL" SUNDAY - WEDNESDAY ONLY! 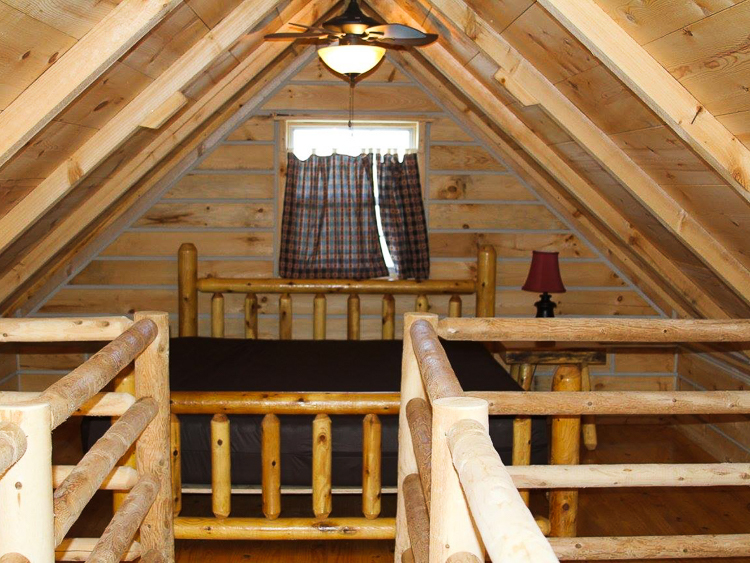 Stay 4 Nights for $500!!! 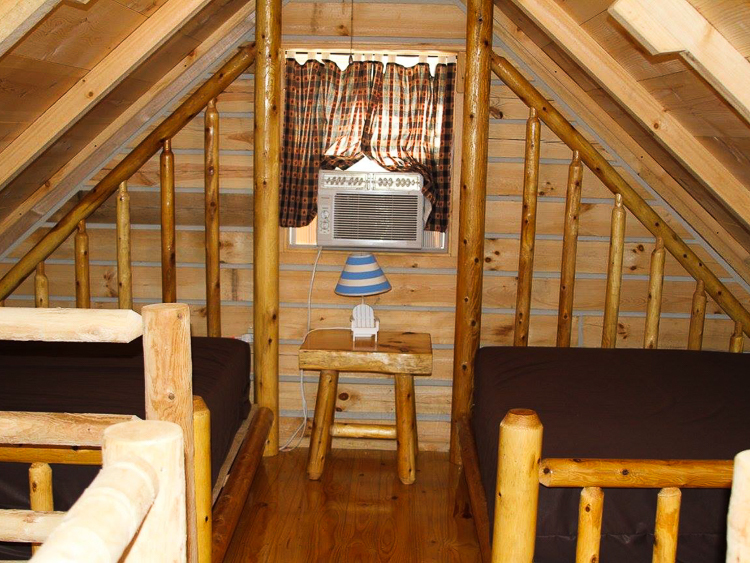 Stay 2 Nights, Get 3rd Night 50% OFF!!! Book a vacation and relax! If the list of cleaning tasks provided for each rental unit is completed upon departure and there are no damages to the unit, the cleaning deposit is refunded. 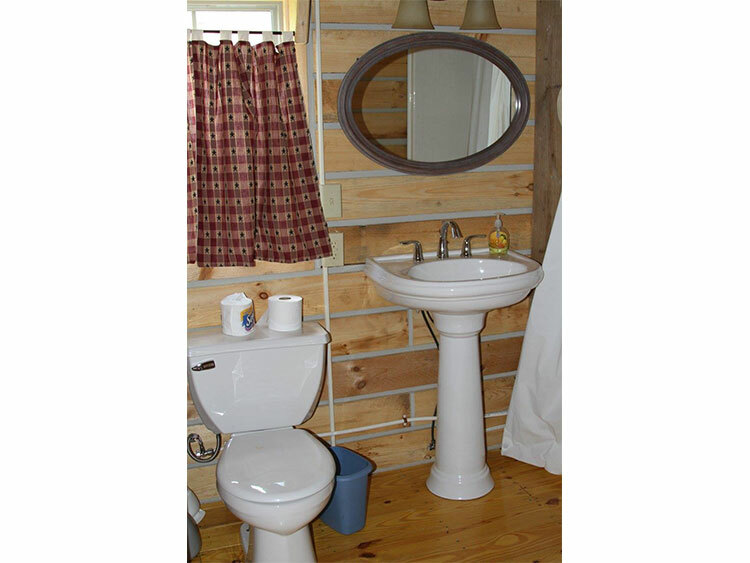 Must bring your own towels, bed linens (1 King, 3 Doubles) and toiletries.